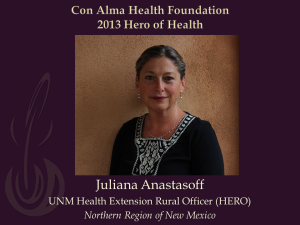 Juliana Anastasoff, a Picuris-Peñasco Valley resident and University of New Mexico health extension rural officer in Northern New Mexico, is this year’s Hero of Health, announced Dolores E. Roybal, Con Alma Health Foundation’s executive director. Each year Con Alma honors a person who makes an incredible effort to improve health in New Mexico. In honor of this year’s hero, Con Alma is providing a $1,000 donation to the New Mexico Acequia Association, which Anastasoff chose because “I see the Acequia Association doing some of the strongest community health work in my own community – supporting the self- determination of our resources, promoting pride and the capacity of our youth to engage in traditional agricultural systems,” she said. 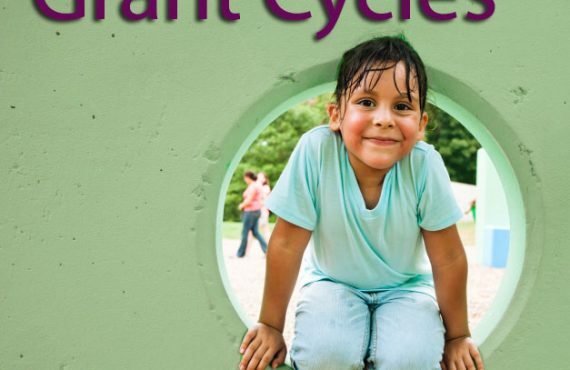 Dr. Arthur Kaufman, vice chancellor for Community Health at the University of New Mexico-Health Sciences Center, nominated Anastasoff as a hero for developing and fulfilling her role as the first health extension coordinator in the state. She provides support, training and technical assistance to help communities in the northern third of the state develop local solutions to their health needs, including building their infrastructure and developing their health workforce. One of her accomplishments is bringing Mental Health First Aid training to rural Northern New Mexico, creating a network of hundreds of individuals who are trained to recognize early signs of behavioral health problems, or respond to someone in crisis and connect them to resources, he said. She also helped write a grant that led to Taos getting its first federally-qualified health center, which provides care regardless of people’s ability to pay. Anastasoff describes her role as a cross between a dating service and a Swiss army knife – serving as the resource or linking communities with available resources at UNM. This is the fifth year Con Alma has named heroes of health. Past heroes include Rebecca Palacio of New Mexico State University, Chuck Howe of National Veterans Wellness and Healing Center, and Kristine Suozzi of New Mexico Health Equity Working Group. Con Alma honored Anastasoff at its annual grantee recognition event on Dec. 6.